Provide a new mom with an invaluable gift using Kate Aspen's Baby Prediction Advice Cards in adorable gender neutral onesie shapes! 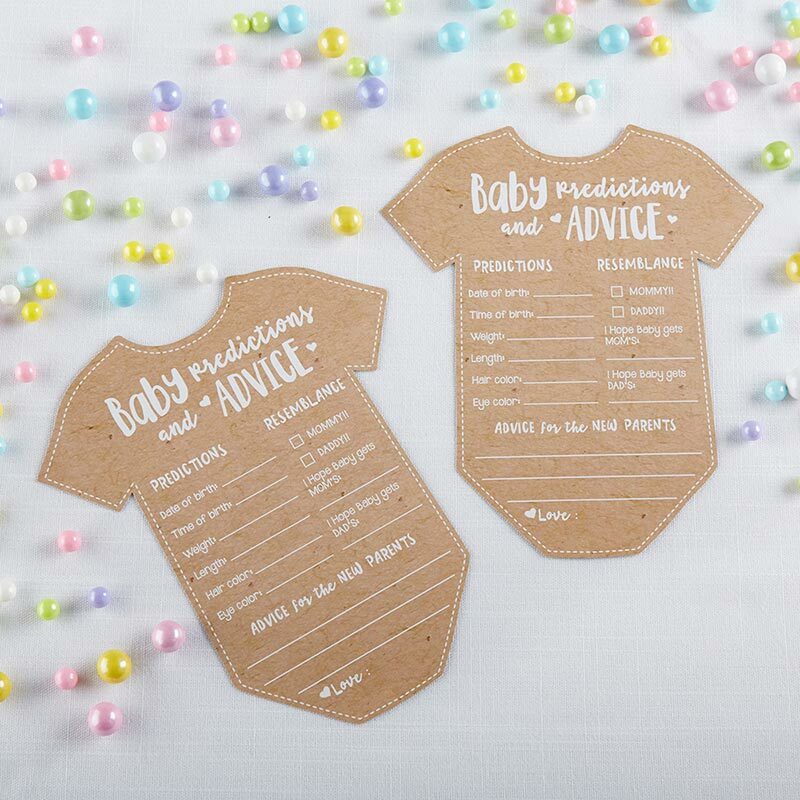 The advice prediction cards are to be filled out by baby shower guests, showing their answers to fun questions like time of birth, date of birth, and if the baby will look like mom or dad. The baby shower advice cards also have a section at the bottom for guests to fill out any tidbits of advice they have for the new parents, or a space to put their own fun well-wishes! 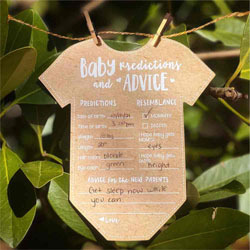 The advice cards are a fun way to provide heartfelt lasting mementos that get their own special place in the baby book! 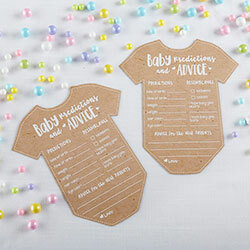 On faux kraft paper cut into a fun onesie shape, white printed text outlines questions and an advice section for baby shower guests to fill out for the new parents. 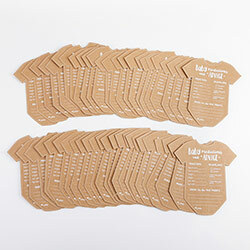 Sold in sets of 50 Baby Prediction Advice Cards. Advice card measures 5.25" w x 6" h, Packaged cards measure 5.25" w x 6" h x 0.8" d.